In 2011 Masonik performed for the opening of a new art gallery called The Dark Horse Experiment, Franklin Street Melbourne. Attached to the gallery is the Blender Artist Studio. 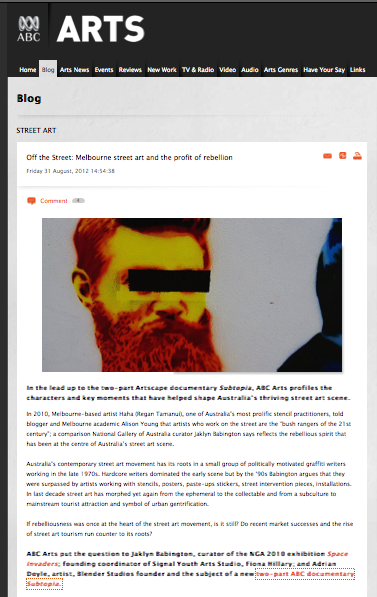 The gallery, studio and radical artist Adrian Doyle is the focus of an Artscape Documentary which will be aired 11th September 10pm on ABC1. Episode two screens Tuesday 18th September 10pm on ABC1 . Masonik's performance will be seen. Some lead up articles.